Taking the mystery out of ingredients for conscious home cooking! 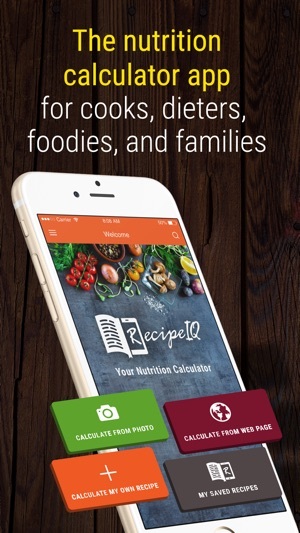 Try RecipeIQ: the recipe calculator that takes the mystery out of ingredients, and helps you stay on track with your dieting goals. Dieting doesn’t have to mean relying on expensive, store-bought food. 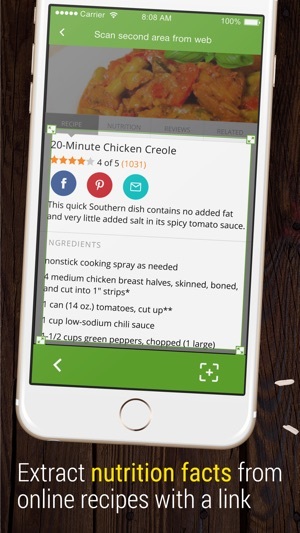 With our recipe organizer, you can prepare meals at home with confidence! Do you like to cook at home but find that most recipes in magazines, cookbooks, newspapers, or online don’t include nutrition information? It doesn’t have to be hard to know if your favorite recipes meet your dietary guidelines! 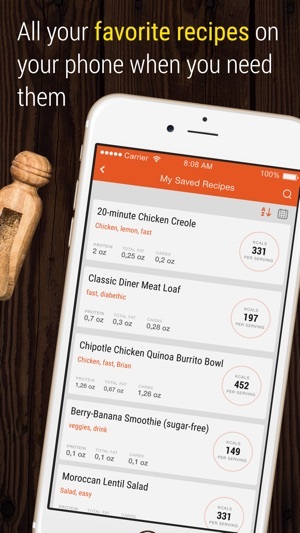 Keep track of calories, fats, and carbs with the only recipe nutrition calculator app that gives you all the information you need for healthy home cooking. 1. 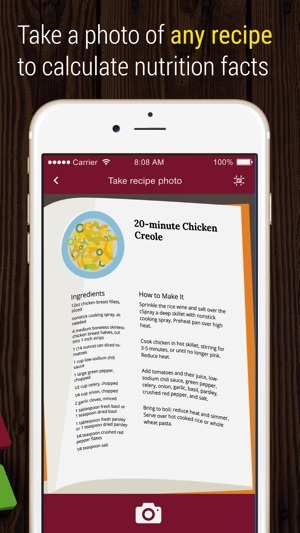 Snap a photo of any recipe, paste a link to an online recipe or enter the information of your own recipe manually. 2. 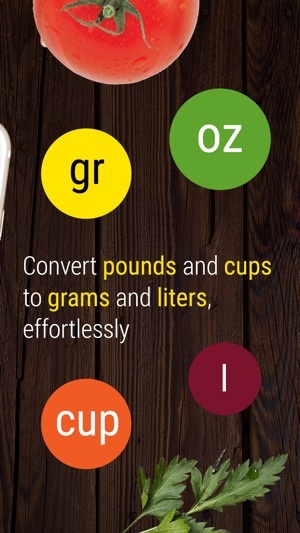 RecipeIQ’s OCR nutrition calculator technology will automatically generate the ingredients and nutrition facts. 3. Edit or add ingredients to suit your dietary specifications or preferences. 4. Review the updated nutritional info to ensure compatibility with your dietary needs. 5. Name the recipe something you will remember. Think: “Awesome Stuffing Thanksgiving 2017” or “Dad’s Favorite Chickpea Salad”. 6. Put it in View mode, and cook with confidence! 7. 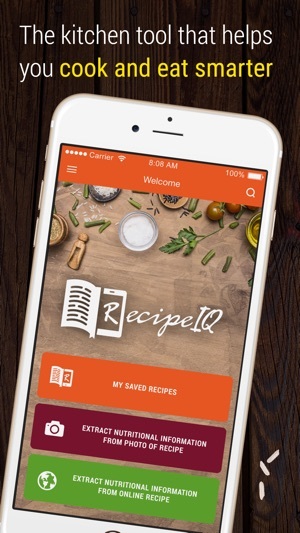 Refer back to your RecipeIQ recipe organizer library for tried-and-true favorites. Want to go ad-free? Upgrade for just $1.99. 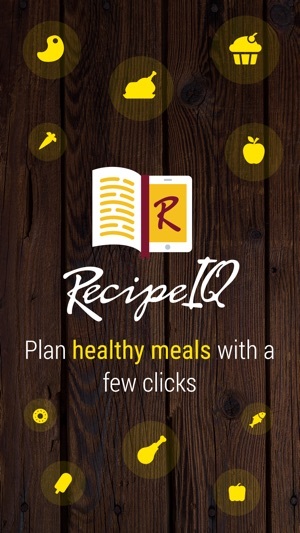 RecipeIQ is the recipe analyzer for everyone – from creative foodies and cooks to dieters and diabetics. Whatever your diet, allergy, or nutrition goal, this is a must-have tool for your kitchen. 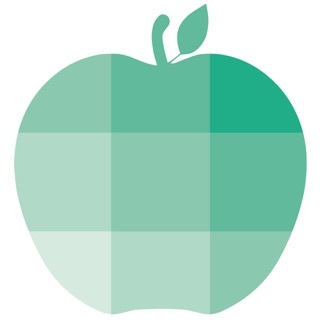 Find us on social media for healthy recipe inspiration and nutrition tips! For all our home cooks, recipe lovers and nutritionist requesting recipe manual entry, we are back with one of the most exciting releases to date. 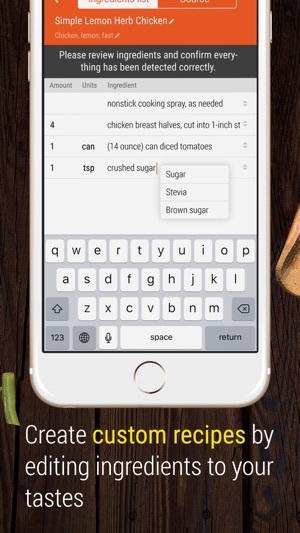 Now, aside from being able to process photos and links of recipes, RecipeIQ can check the nutritional value of recipes that are manually added into the app. 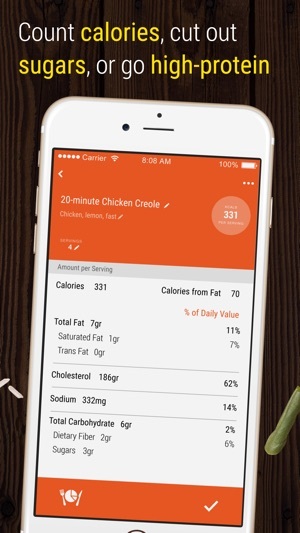 This updated version will allow our users to dig out family recipes, their own inventions and newly-found meals and add them to the application to be able to calculate the nutritional facts behind them. Ok...When I got the app I honestly didn’t have high expectations. Though, I have only done a few recipes so far, it has completely exceeded the ones I did have. With the exception of it misreading a fraction in one of the recipes one time, it has transferred them over perfectly. 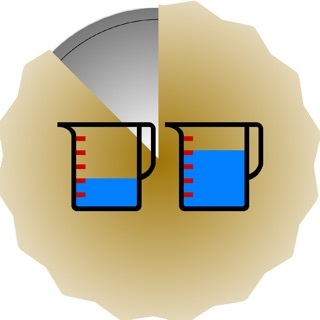 I compared the nutritional info with a few other online recipe analyzers and they matched up. In my opinion it’s a good app that does exactly what it says it will do. Thanks for reviewing our app. We hope that you incorporated it into your daily cooking routines and that you are enjoying it. I’ll admit that the first time I tried using it to take photo of a recipe, the app crashed in the middle of the process. But I decided to give it a second chance and imported tonight’s recipe from the website where I found it. Voila! A little editing and I’ve got the complete nutritional values. That was enough to convince me to pay for the ad free version. Thanks! This is an awesome app. I don’t know why it doesn’t have more reviews. Worked flawlessly to calculate the nutrition info for a recipe I wanted to make. I was able to tweak ingredients to bring the calorie level down easily. Very cool app, and I know I’ll use it a lot.